For admission, parents have to complete a registration from and pay a registration fee. Following registration, all candidates will be notified as to the dates for Entrance Test and Interview. For pre-primary children, there will be an interview of both parents and children while for higher classes, a written examination in English, Hindi, Mathematics and General Knowledge will be conducted in addition to the interview. The written test will be based on the minimal development levels required at the conclusion of the previous class, as per to the previous class, as per to the School’s syllabi. The interview will be aimed at determining the congruency of the parental point of view with that of the School and interpreting the subjects with regard to their potential, aptitude, personality, intelligence sporting skills, aesthetic and creative abilities and any other capabilities deemed remarkable by the Admissions Committee. 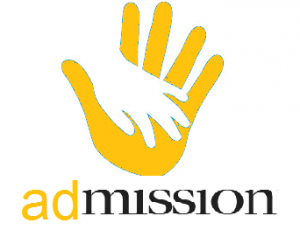 Failure to attend the admission test/interview without just reason will cause the registration to lapse. In such cases, the candidate’s registration will be considered null and void and the Registration Fee paid will be forfeited. The admissions Committee will be the final arbitrator in such cases any may, at its discretion, conduct another test in genuine cases, if so justified. The results will be compiled strictly on merit and subject to the provisions contained herein, by the Admissions Committee, following which seats will be offered to the candidates in order of merit. The Admissions Committee will be endowed with the right to reject the application of any student without assigning any reason whatsoever. In particular, this applies to any parent or guardian who attempts to resort to unfair means, including bribery or coercion of staff. Parents intending to withdraw their child from the school must tender, in writing at least one clear month’s tuition fee, entirely at the discretion of the Principal. Those who leave in May, must in all cases pay the fees for the month of June. The school lays emphasis on self-discipline for, without discipline it is not possible to achieve excellence in any field. Discipline is not harsh or humiliating and corporal punishment is not permitted. It is our aim to imbibe in each student a sense of good manners and behavior and to foster a sense of cooperation and respect for elders. However, keeping the interests of the entire student body in mind, it will be necessary to punish cases of anti-social behaviour. In extreme or repeated cases of indiscipline, the school may, for the well-being of the entire community, be forced to expel a student. In such cases the decision of the Principal will be final. The school has clearly articulated expectations of its students with regard to conduct and behaviour. These expectations have been enunciated in in a set of formal rules and regulations, Which have been devised to ensure the smooth functioning of the school so that its educational objectives are achieved in a serene and conflict free environment. Furthermore, the code of discipline imposed on the students provides us with opportunities to help them to discover that true freedom can exist with in clearly defined parameters. The schools believes that training in self – restraint, punctuality, integrity, obedience, courtesy and ability to distinguish between write and wrong ultimately leads to the development of that all important assets. Any disputes or claims of any nature whatsoever will be subject to the jurisdiction of the Varanasi Courts alone.